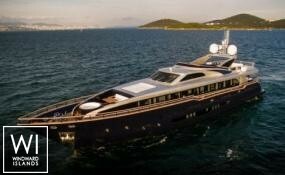 The Mediterranean represents for many the epitome of the charter experience. To explore Europe from a private yacht on one's own schedule is far more rewarding than any traditional tour! Tempted to navigate in the Mediterranean? The choices span from the extravagance of the French Riviera to the natural beauty of the islands of Greece. The entire region is rich with culture, history and fabulous food. 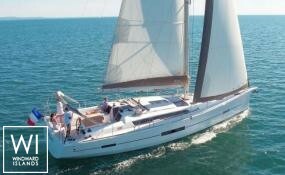 It is particularly important to plan ahead of time a sailing vacation in Europe. 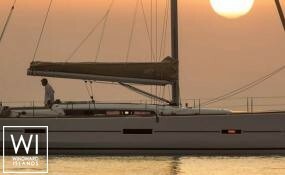 Catamarans throughout Europe are booked well ahead of time, in some places as early as December. 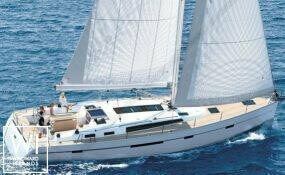 The sailing destinations in Europe and Greece are very popular, combined with quite a short season of operation. Although the Mediterranean is one of the largest yacht charter vacation grounds in the world and has an incredible choice of charter boats available, remember to book as early as possible. Berths and anchorages in the Mediterranean during the height of the summer season are extremely demanded. Do not expect to find berths in the more popular ports during July and August. One can spend many hours waiting for a berth to open up only to be frustrated. It is, in fact, likely that a berth won't be available in many of the well-known ports and the implications of that may involve rocking and rolling at anchor at night, especially as it can be quite windy in August. In addition, there may be too much traffic for comfortable or safe swimming. Places like Sicily are an even longer option as the season goes from March to November. At each end of the season feel free to ask for a 10 day charter for the price of 7 days you may find many promotional offers available. Greece is cheapest in March, April, and November but we have had the best feedback from sailors choosing May, June, and September, as the crowds are almost unbearable in July and August. One-way itineraries can work out very well in Europe. They allow a more extensive exploration of an area, no doubling back. You can often take advantage of the direction of the strong summer winds. Some popular itineraries for the Mediterranean include: French Riviera to Corsica, Sardinia to Corsica, Tuscany to Sicily, Split to Dubrovnik. Keep in mind, in Greece the wind known as the Meltemi is quite strong, making a return to the starting point very unpleasant. It is important to weigh the different options for the itinerary ahead of time as the effort can really make for a fantastic trip. It is better to be an experienced sailor in order to manage tricky harbors and crowded piers. The Mediterranean can be very crowded at the height of the season and hiring a skipper may be useful even for the seasoned sailor. 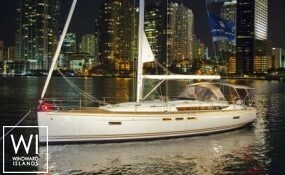 Having a local skipper on board will ensure that your charter experience will be more carefree. A local skipper will know how to negotiate the often overcrowded, small, tricky harbors of Europe. He will also know the best beaches and the best restaurants and markets. If you are planning on docking in a port and exploring fabulous cafes, restaurants or taverns, a hostess/cook may just be useful for serving drinks and making beds and if you are planning on more long distance sails, for example, the Aeolian islands, a local cook could be responsible for your favorite memories. It is not by chance that Couach shipyard masterpiece is named La Pellegrina, a name inspired by a famous and beautiful round pearl 27.5 carats highly coveted throughout history and is now preserved in Moscow museum.